Spreading usefull tips on the first day of Ramadhan. Got tips to check wether your cell-phone is original or not when I did blogwalking to Penghuni 06 blog yesterday. At the example above the seventh and the eighth number is "1" and "0"
- If both digits is 02 or 20 your cell phone should be made in Asia with bad quality. - If both digits is 08 or 80 your cell phone should be made in Germany with good enough quality. - If both digits is 01 or 10 your cell phone should be made in Finland with good quality. - If both digits is 00 your cell phone should be made in France with best quality. 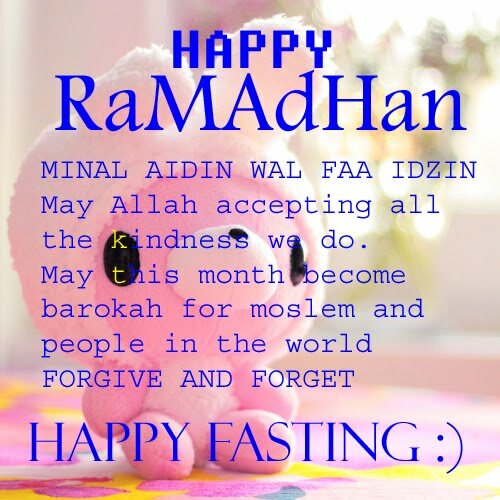 thanks for your sweet comment.. happy Fasting.... ^^ Love ur blog.. Wish you and all of those close to you a happy and meaningful Ramadhan. i love the title of your blog by the way! Good luck fasting... I'm sure you'll have some lovely dinners this month though!